All recipients and their wives displaying their award at the ECOBA 2018 annual dinner which held recently at Sheraton Hotel, Lagos. 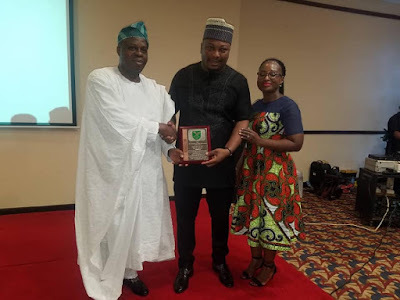 L-R: Mr. Aigbe Olotu, Chairman ECOBA Lagos chapter presenting the ECOBITE of the year award to Mr. Jude Eluemunor Esq accompanied by his wife, Barr. 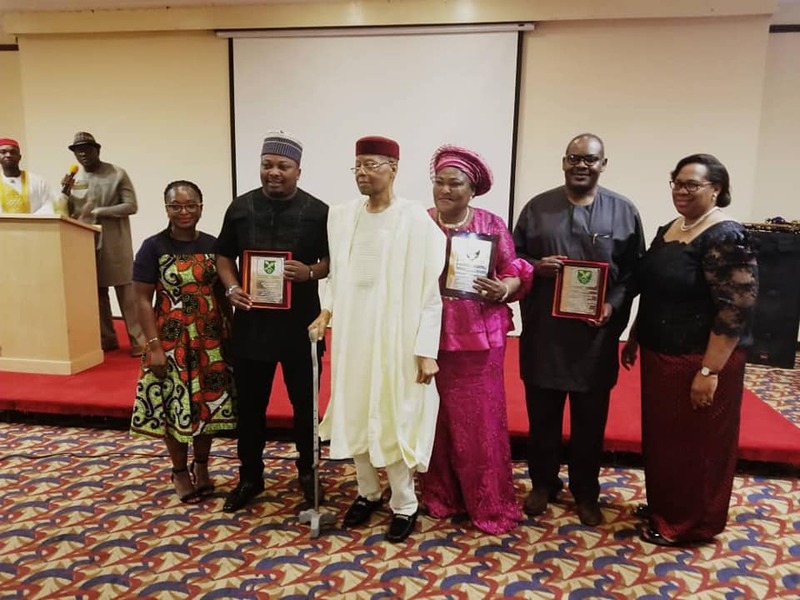 Ngozi Eluemunor at the ECOBA 2018 annual dinner which held in Lagos recently.